Size: approx. 15 mm. Photo: 07/06/14, 2 pm. 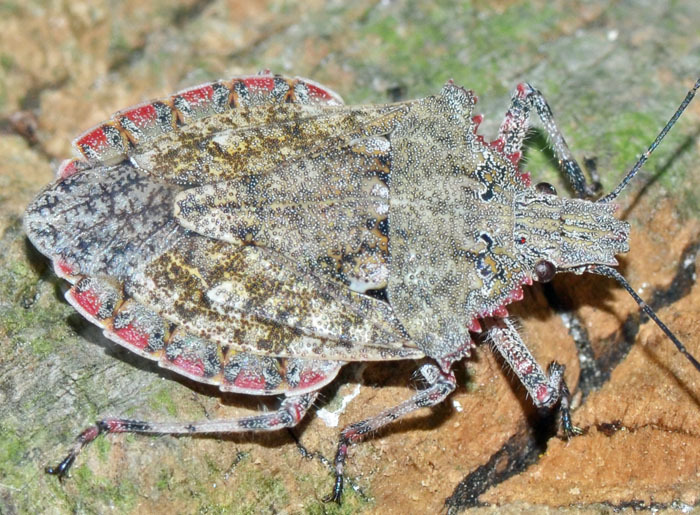 This Rough Stink Bug (also known as Tree Stink Bug) has an amazing color pattern which provides great camouflage for the bug on bark and similar surfaces. 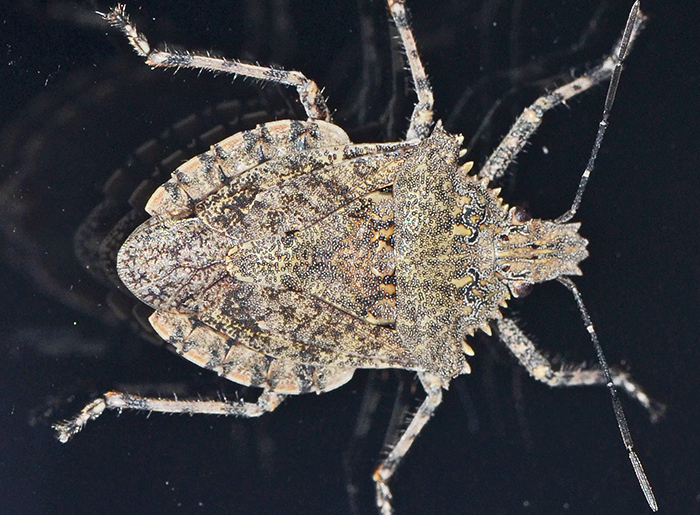 The little photos show different specimens. 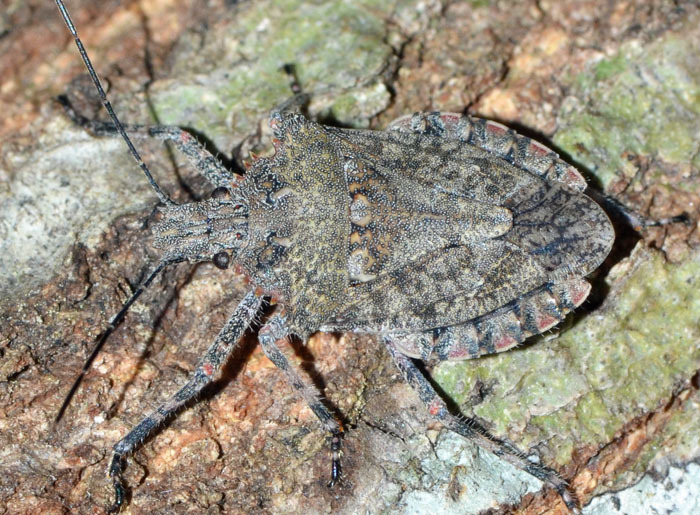 They too have been IDed on bugguide.net by an expert.